Writing a post each and every day has certainly made me work harder to find ideas. When I was posting blogs every once in a while, inspiration was easy. It came to me when I had time and inspiration. That’s awesome when it happens. But how many times in your life do those two collide? That’s why, even with the best of intentions, I had times where I only posted a few times a month. I want to do better than that. What was odd to me is that I was still creating a video show called Delivering Marketing Joy each week (here is one to watch if you have never seen) and I was doing a podcast with Bill Petrie called unScripted (here is the latest). So it begs the question, why? Why was I able to do those pieces of content on such a regular basis and not do posts on my own site? It’s not like I only had ideas there. It was not just about “inspiration.” Here are a couple of reasons… There is a Deadline: With both DMJ and unScripted, there were very real deadlines. I had drawn a line in the sand and said “There will be a new episode come hell or high water.” This was initially for the audience. But it created a cadence for me that we MUST get it done. Yes…sometimes it’s very inconvenient. As a matter of fact, Bill recorded the most recent unScripted podcast from his family vacation on the beach! But when there is a real deadline, you find a way to make time. That is what I have done with this new challenge. There will be a new post each day. The end. 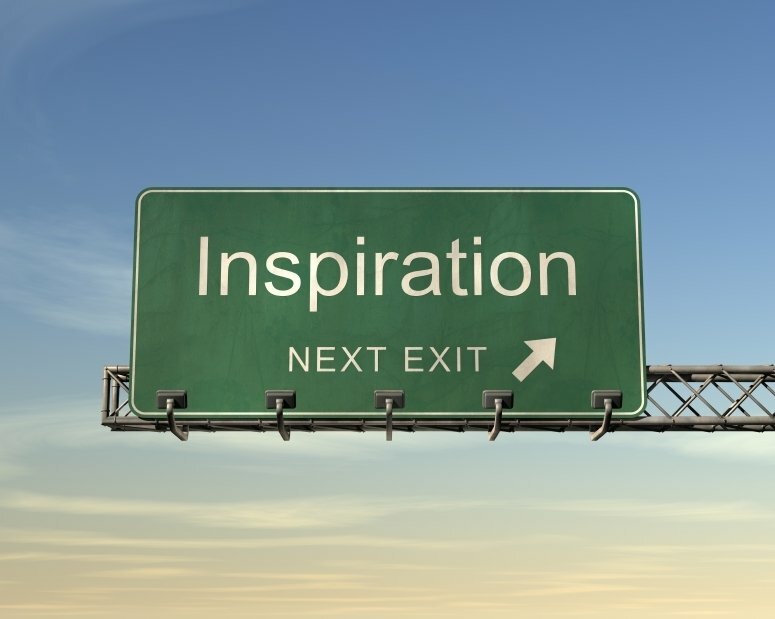 Letting Inspiration Come To You: I think one of the great myths is that you have to wait for inspiration to strike. Humans don’t create thoughts. They don’t. If you don’t believe me, stop thinking. Go. The thoughts keep coming. Our job is to let the ideas continue to flow…and to select the ones that excite us. It’s one of the keys to being happy…choose better thoughts. The same is true for finding inspiration. Sit down each day and let your thoughts flow. Now select a good one…and act on it. Thanks for reading this! Let me know what you think. And make sure you never miss an update…sign up for our VIP newsletter here.